is on sunday, january 26th at 4pm at the smithsonian’s national portrait gallery in downtown, dc. it’s free and open to the public, so bring the whole crew to see dc’s finest young poets performing their original spoken word poetry. and you should be there. 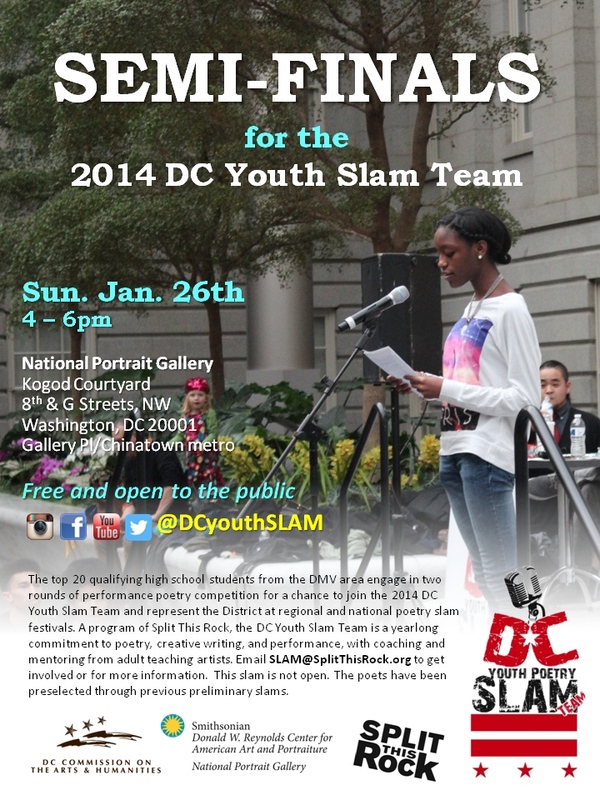 the dc youth slam team is absolutely amazing. here is a video of one of the teenage poets performing at a rally on the national mall in front of the capitol. his name is Malachi and i think he is one of the poets who will be performing at the semi-finals on the 26th.